BOOK JACKET DESCRIPTION: For twelve-year-old Lucy Crandall, the last week of August is the most perfect time in the world. 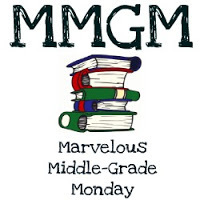 It’s when everything she’s been so worried about – her overprotective mother, her best friend Megan’s obsession with being popular, and Eddie, the neighborhood kid with Down syndrome who keeps insisting that they’re friends – melts away, and she gets to visit Grams at the cabin in Crescent Lake, California. Grams has a way of making Lucy feel centered, like one of the pots on her kick wheel – perfect, steady, and completely at peace. But as Lucy’s week with Grams turns into a roller coaster of surprises – some good, some awful – suddenly Grams doesn’t seem to be so steady anymore. And Lucy can’t help but wonder: How is she to find her own center, without Grams to show her? A “Hurtful” LINE OF DIVERSITY: Yeah, well. It’s not like he’s, you know, normal. MY THOUGHTS: No differences in color here, but plenty of difference how Lucy and her popular friends react to her friendship with Eddie. Lucy tries hard to fit in, to be popular, but that means hurting others and not feeling good about herself. This is a tender, heartfelt tale of understanding. For people different from yourself and for a grandmother whose mind is slowly disappearing. Powerful writing wringing with emotion. Highly recommended. 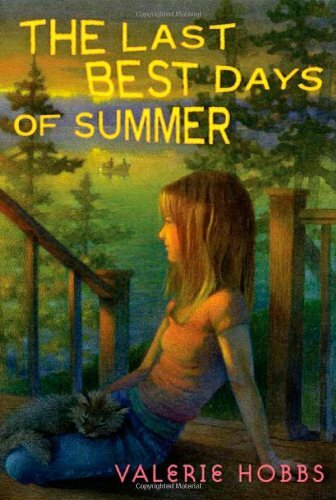 This entry was posted in Reviews, Uncategorized and tagged 9th Annual 48 Hour Book Challenge, The Last Best Days of Summer, Valerie Hobbs. Bookmark the permalink. This one looks really good. I think I will check it out.